Every track also includes job search preparation for students; support and instruction in crafting resumes, cover letters, portfolios, and online presences. Career support staff meets one-on-one with every student to review and practice interviewing skills. After completing courses, students are placed in hand-selected internships with tech companies at no extra cost, allowing them to begin their job search with coding experience already on their resumes. To kick off their job search, graduates participate in a Demo Day where they present projects to local, hiring employers. Full time C# - React course. Yes, available through Climb Credit and Skills Fund. I graduated from Epicodus in September 2018 and got hired by my internship host company right away. Actually, one of the main reasons why I chose Epicodus was an internship, included in the course. But overall experience turned out to be great. The school learning curriculum was well structured, lessons were clear and easy to follow, still leaving a room for curiosity, and encouraging further exploration. Our instructor, John Franti, was impressively knowledgable and ethical. After the course, I felt quite well prepared for the interviews with the companies hosting Epicodus interns (yes, you have to go through the real interview process to get the internship placement, which is an especially valuable experience on its own). I would recommend Epicodus to anyone who has a desire to start a new career path in software development (and who is ready to put an effort to get there). I attended the night-time Intro to Programming course this last fall, and I was definitely not disappointed. I had tried doing some online free courses and, although I had learned a lot through those free courses, I knew I needed something more structured and with face time in order to really grasp some of the concepts. This class was perfect for that. Not only was Kyle a great instructor and there for any questions we had, but the whole setup of the class itself made for a great learning environment. I was a little nervous about pair programming, as I’ve always thought that I learned better by myself when I can just sit with something and go at my own pace, but I was pleasantly surprised. Working with someone allowed me to ask questions, explore, and learn with them in ways I know I wouldn’t have done on my own. The course material was pretty great as well, just because we covered a wide variety of topics and there was enough there to do in class to understand the basics, but also because there was plenty to do at home if we wanted to. I haven’t had the chance to join a full-time class, but I fully intend to once I have the budget and time to do so. Taking the part-time class was totally worth it. I actually took the skills I learned in that class and made a brand new website for my company. Like I said before, there are plenty of incredible online resources, but if you find yourself needing more structure and a great learning environment — choose Epicodus. I personally had a really good experience at Epicodus. After trying my hand at using free online resources to teach myself coding, I found that I really needed the structure of a classroom with schedules and deadlines to keep me motivated and on task as well as teachers and peers to help answer questions and improve my understanding. To this end, Epicodus was totally worth it. The course work was mostly very good. There were occasional issues since curriculum is often being updated, but the staff were responsive to feedback. I also found the response to questions was usually prompt and helpful, but even more important was my amazing cohort. Pair programming with other students every day was sometimes intimidating, but really helped me learn. From answering questions to helping interpret lessons to giving feedback on code, working in pairs (and groups for projects) was one of the most valuable features of the program. The internship was a big selling point for Epicodus as well, and I was very fortunate to get a great internship. I know that the internship experience of my cohort varied, with a few students having major issues, but hopefully Epicodus will continue to increase their consistency with respect to quality internships. Regardless of internship, I feel that the career support for graduates is pretty strong and another benefit that makes the program well worth it. I decided to attend the Intro to Programming Course (evening/part time) at Epicodus once I knew I was moving to Portland from NYC. It was a great chance to meet new people, learn some new skills, and see if I might be interested in changing careers. The Intro to Programming Course was perfect for me because it allowed me to get a taste of programming without having to commit to a full-time program and was flexible around a work schedule. The price point was also perfect for me. Our instructor Kyle was great - he was happy to be as hands-on or as laid back as each programming pair needed. I loved pair-programming - there are so many online resources that you could technically teach yourself most of the programming stuff you'd need to know... but if you're an interactive learner like me that benefits from mutual accountability.... SIGN UP FOR EPICODUS. You'll learn so much from your partners, both about programming and how to think about problem solving. This course was totally worth it! I’ve researched a few bootcamp school and Epicodus was the right fit for me. The price is reasonable for what I was looking for. Coursework is straightforward and the videos are great but wish there was a few more videos towards the end of the course which they are aware of. It was very challenging for me esp. with no coding experience but I was able to pull through with the support of the instructor and my cohort. The instructor is very knowledgeable and helped me comprehend the basics. Overall, I enjoyed (even on the tough days) and learned the skills I need to continue to grow my business attending Epicodus. Why you should consider Epicodus. Epicodus is a great place to learn how to code and become a developer. 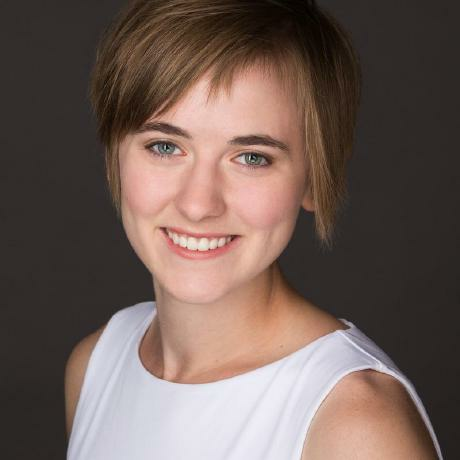 Coming from a non traditional developer background, Epicodus gave me the skills and the confidence to land my dream job. The staff, teachers, and fellow students were and still are amazing support system. If you ever thought to yourself, “I want to learn how to code but don’t know where to start”, let Epicodus give you that start. “I would like to become a developer but I am not smart enough”, let Epicodus prove you wrong. I enrolled in Epicodus during the late summer of 2017 and graduated as recently as March of 2018. I started my first day at my new job in early July. I wouldn't have been able to start this new position if it weren't for the skills and direction that Epicodus provided for me. The instructors are top notch they do not coddle you and walk you through everything, they know how to proud your mind into thinking in a manner that you will eventually come to a conclusion and if you eventually cannot solve it they will find the time to assist you. Class sizes are reasonable and the people there seemed very friendly. The atmosphere is not competetive in any way, I was in no way shape or form the best person or strongest coder in my cohort, but I felt like in order to find a job after your classes are finished you must be relentless in applications if you want to work. Also I knew from fairly early on I didn't necessarily want to work as an App Developer I just wanted to help build and design websites. The classroom environment is set for rapid learning, the instructors were great and very knowledgeable and you are surrounded by other students who learning along with you. Sometimes asking another student for help is just as helpful as getting guidance from an instructor. Although troubleshooting issues on your own is part of the process, this prevents you from getting stuck for too long on any one problem. In addition to learning how to code the latest technologies, the guidance that they provided for your Linkedin, resumes, and cover letters were amazing. They helped me look like an aspiring professional with the skills and experience to back it up. Highly recommend and have already done so to a friend! Epicodus stands out from other bootcamps because of its academic structure. It's a 6-moth, 40 hour a week program. You treat it like a job and feel like a real developer right from the start. It's roughly the same number of classroom hours as an undergrad CS degree, and since it's done in six months, students are learning the latest, most relevant technology. By the time I graduated, I had hundreds of hours in React and two Android portfolio pieces on my resume, which helped me stand out. I loved my instructors and how they taught the core principles of coding. The fact that learnhowtoprogram.com is free says a lot about Epicodus' mission to help everyone have the opportunity to learn. I would recommend Epicodus to anyone willing to work hard to change their career path. I am very thankful for my time at Epicodus, and for the opportunities it has opened up for me. When I started, I had very little programming experience aside from a few online tutorials. I learned an amazing amount in 6 months. As a developer, you'll need to learn new skills and technologies quickly, and Epicodus gives you great practice! I think pair programming is a very effective way to learn, and it gives you a taste of what it's like working on a development team. You get to know your classmates very well, and walk away with new friends, and a strong professional network. Epicodus provides help with LinkedIn, resumes, cover letters, interview practice, and also with the demo days several times a year. You start using Git on day one, and will have a solid GitHub profile by the end of the program. I had a great internship experience, but they do seem to vary. 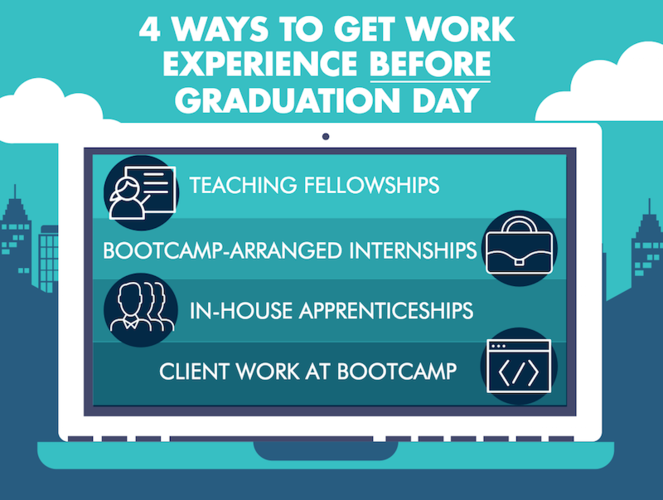 You may not get a job through your internship, or immediately after graduation. I had to apply to a lot of jobs, and it took a few months before I got a paid development internship, but I did get there! Overall, Epicodus is a great value for your money. I highly recommend it! Before starting at Epicodus, I knew next to nothing about programming. As I look back two years after graduating the program, I can say with full confidence that it was my decision to enroll at Epicodus that launched my fulfilling and exciting career in web development. Epicodus teachers and staff strive to create and maintain a unique environment where students can safely learn new technologies and hone their programming skills. By pair programming with my colleagues, I learned how to verbalize concepts, collaborate with others, solve complex problems, and learn from my mistakes. After I completed all my courses, I enrolled in their internship program. During those five weeks, I gained valuable, hands-on, real-life programming experience and had the opportunity to learn from seasoned developers. Landing a job as a programmer certainly requires training beforehand and plenty of hard work along the way. But I can honestly say that if I had not attended Epicodus, I certainly would not be doing the work I love so much today. I am grateful to the team at Epicodus for providing me with the environment, tools, and trainng I needed to jump start my career and pursue my dreams. The Epicodus 6 month bootcamp program is for the courageous and dedicated person who desires to transition into a high tech career. It is NOT like a college or university program with several classes and a schedule you can design for yourself. It is like a demanding entry level job. One must be there 8 to 5, Monday to Friday week after week for 6 months. One cannot afford to take days off. And yes, one needs to stay dedicated and regularly study during nights and weekends. The reward for completing this program, is knowing that you can in fact work in a fast paced software development environment. You can in fact work well both alone and also all day with colleagues. And you can work with a variety of modern computer languages, frameworks and tools, in a short amount of time. You know this, because this is what you have been doing for 6 months. Proof is both in your Github portfolio and in a rigorous report of accomplishment and attendance from Epicodus. Epicodus is a credible organization that reliably produces qualified software development and high tech workers in their 6 month program. Epicodus was without a doubt the best career decision I have ever made. My only regret is not attending sooner. Two weeks after graduation, I accepted a job offer that was nearly double of what I was making before and had been invited to interview with 10 companies. When I enrolled, the cost of tuition was $4800; now it’s $6900. I went to Epicodus over any other bootcamp in the area because of the cost (and reviews!). $4800 was a big investment for me at the time and I would’ve gone the route of an online bootcamp if it had cost any more. I completed the CSS/Design track. The Intro curriculum is very comprehensive but many of the videos in the Intro are long overdue for a re-recording, due to poor audio quality and errors. Epicodus now offers CSS/Design and CSS/React tracks. CSS/React wasn’t available at the time of my enrollment. I imagine those who are taking the CSS/React track are more interested in front end development than design. My cohort was about 50/50 split of those who were interested in UX/UI Design and front end development. Unfortunately, the current Design track offers even less design-focused coursework. It now includes only 2 weeks of Design, with 2 weeks of React. Epicodus also offers a CSS/React course, so why React is in a design course is beyond me. The CSS module should also spend less time on floats and introduce new CSS concepts like CSS grid, as well as designing sites with accessibility in mind and cross-browser compatibility. Teachers vary in enthusiasm, knowledge of the concepts, and commitment. When you get stuck, you can submit a ticket and a teacher will come by to help. It generally doesn’t take more than 5 or so minutes to get help, but it can take up to an hour - in which case, you’ll be relying on your fellow students for help. I wished my weekly code reviews included more thorough feedback and that I had more 1:1 time with a teacher to discuss my progress and struggles. I’m very introverted, so I knew that Epicodus would be stepping outside of my comfort zone. Pairing was generally a positive experience. Some days I was the weak link, some days I carried my pair through the day, and on others we screamed at the computer together. I learned something new from every person I paired with, whether it was a keyboard shortcut in Chrome, Atom, Sketch or a new way of thinking about a concept. Generally I liked pairing because when left to my own devices, I get easily distracted, so sharing a computer with someone else all day kept me from checking Twitter. When you graduate, you’ll receive weekly check ins, access to a job board for alums and weekly job digests (with opportunities that allow you to apply directly to a hiring manager). I found the weekly check ins really helpful, as I often had questions on how to phrase specific things during interviews and negotiations. I only saw one design-related job posting in the digests and job board, though. The internship opportunity at the end of the program is great. Most people in my class got matched with their first or second choices. Although my internship experience was not positive, I don’t think I would’ve landed the job I have now without the internship, as I was doing similar work within the same tech stack and got to talk about that experience during the interview process. - Make Epicodus the most important thing in your life. Be prepared to eat, sleep, and breathe Epicodus. Your friends, family, spouse, and hobbies will need to take a back seat during the program. Dive as deep as you can into the curriculum and technologies you’re learning. - If you can swing it, don’t work while attending Epicodus. Again, everything else in your life should take a back seat. - Create a README template and use it for at least your Friday projects. Include a detailed description for the project, along with set up/installation instructions, and screenshots. - Create an online portfolio. Even if you’re not a designer. DO IT. It will help establish your credibility. Make a YourName.com website with a link to some of your projects, your background, and ways to contact you. When I have told non-design students this, they scoff and say “I have my GitHub, my code will speak for itself.” That’s not true. The first person to look at your job application may be a CEO or a Recruiter who doesn’t know how to code or have time to weed through your GitHub repos. You won’t get a job right out of code school because you’re an amazing designer or developer, you’ll get a job because someone likes you, believes in your potential, and thinks you’ll fit in with their team. You’re more than just your code or designs and people want to see that. - Have 1 project on your portfolio (and pinned on GitHub) that isn’t related to an Epicodus assignment. Employers who’ve interviewed other Epicodus grads are tired of seeing your Pig Dice sites. - Familiarize yourself with Agile development and project trackers like Trello and Pivotal Tracker and use them seriously during your group weeks. Put those experiences as skills on your resume and talk about them during interviews. If you’re not working in an Agile environment or using project trackers during your internship, try to get the team on board. Employers eat this stuff up! They are looking for people who can work within a larger team. Maybe you have this fantasy about being the Lone Programmer Hero - and perhaps someday you’ll get there, but it’s not how you will get your foot in the door. - Read “How to Win Friends and Influence People” before you go on your internship interviews. - Have business cards ready in time for your internship interviews and have enough to hand out at Demo Day. Make sure the cards include links to your online portfolio, GitHub, LinkedIn, and email address. - In addition to business cards, bring printed resumes to Demo Day. - Don’t think you need to settle for the median starting salary for grads. Your skills are worth much much more than that. SOMEONE has to be living in all those shiny new condos - why not you? Look up salaries on Glassdoor for every single company you apply to and use tools like StackOverflow’s salary calculator. Again, your skills coming out of Epicodus are highly valuable no matter what anyone may tell you, don’t forget that! - Apply for your jobs during your internship, or even before. Get on it! Don’t wait until after the internship to start applying. - Don’t expect your internship to hire you after the 5 weeks are over, no matter what they promise you. Apply for other jobs. - Think of job listing requirements as an employer’s wish list. Don’t be deterred by years of required experience. Apply for a position because it appeals to you, don’t pigeonhole yourself as a junior and only apply for jobs with junior in the title. I applied for a senior position and got an interview. I wasn’t hired but hey, they still saw something in me, despite asking for 5-7 years experience. - I hate the expectation that designers and developers should do nothing but do work-related things in their free time, but use the time you’re attending Epicodus to invest in yourself and your future career. You’ll need to hustle hard and sell yourself to various companies when you graduate. When you get a job, you can go back to being a normal and well-rounded human being again. - Pack a ding dang lunch. The vending machines and food carts are not worth it and will kill your wallet. - If you live in Multnomah County and have a library card, you can use Lynda.com for free. - Go to meet ups. I went to a 2-3 meet ups a month and as much as I’d like to tell you I schmoozed and networked, I didn’t. I prefer going to workshops or specific talks rather than the ones where you have to stand around and to talk to strangers. To be honest, I often went to meet ups with fellow classmates and mostly just talked to them, but going to them helped me feel like I was part of a larger community and I usually learned something new or interesting. - Be a resource for your classmates. You’re all in this together. - Your classmates are not your competition. There may be overlap when interviewing, but have some perspective: there are lots of jobs in the world. Support each other. Your classmates are your friends and future colleagues. - When you graduate, ask the career coordinator ANYTHING. I relied on her heavily for wording things in interviews, turning opportunities down, and negotiations and it helped me immensely! - Customize your cover letters for every single role you apply to. Be genuine, don’t be a “To Whom It May Concern, I am very interested in your firm” robot. I cold applied for about 50 jobs and had been invited to interview with 10 companies (2 were from Demo Day, 1 was a recruiter who reached out to me, but the 7 others were jobs I cold applied to online). In my cover letters, I not only mentioned what my skills were and what I’d bring to the company, but WHY I liked them and what they were doing. People LIKE when you like them! - Be the kind of person you want to work with. Show up on time, be honest, don’t disappear on your pair without warning, and don’t sleep in just because you don’t feel like going to school that day. School will be over before you know it, make the most of the time. - The CSS/Design track often feels like the odd one out. For example, there are lunch speakers every Wednesday and none of the speakers during my stint at Epicodus were design-related. The Eventbrite invitation for Demo Day mentioned that we were CSS/React, not CSS/Design. Does that mean there were design agencies and companies in need of designers that skipped out on Demo Day because design students weren’t listed? - Amenities. Paper towels in the cafeteria were a rare sight and it’d be great if the kitchen stocked silverware. - The attendance policy is far too lax. - Code reviews from teachers should include DETAILED feedback and notes. It was disappointing to put my all into something for 9 hours and receive only “Good job!” as feedback. - Do teachers at Epicodus use a plagiarism detector? Because they should. - I wish online portfolios were a mandatory part of graduation, like creating a resume, cover letter, and cleaning up your GitHub. - Companies should be required to provide more details about what they are looking for in an intern, the type of projects the interns will be working on, and if they are looking for someone with a design or development background. This would make the initial rankings and going into interviews less stressful. I felt like I was going to 5 blind dates because I had so little information about the companies and what they expected (and yes, lots of the companies had very barebones websites). It's hard to answer questions like "why do you want to intern for us?" when companies provided so little information in Epicenter and had a minimal internet presence. - If 75% of grads are making $60k or less, the salary breakdown for employed grads should show more ranges for those making less than $60k. Also, I’d like to see salary breakdown for both Portland AND Seattle grads. And breakdowns by track. - The graduation certificate is the ugliest thing I’ve ever seen. Come on, Epicodus! Congrats on reading this whole thing! I normally am not this verbose, but I wish you the best of luck at Epicodus. Give it your all… and make a portfolio! Epicodus was a great experience for my particular situation. I had been studying front end development on my own for about 5 months when I began attending part-time evening classes at Epicodus. The work was challenging enough to the point where I definitely gained new skills at a much quicker rate than I would've otherwise. Pair programming was also a great experiece because it taught me to see things from another point of view and how to better work in a team setting. And can we talk about that price tag for the class! So affordable! I would recommend Epicodus' part time class to anyone who's looking to jump-start his or her dive into the web development world. There is a whole lot you'll have to outside of class to become proficient but the curriculum will definitely get you on track. Best return on investment. I should've done this years ago! I hesitated on changing careers for years, staying in something that paid the bills but wasn't what I wanted to do. Then I moved to Portland and completed the Ruby on Rails track at Epicodus. I found the fast paced course was challenging. Pair programming helped with learning concepts and keeping engaged for the full day. The instructors and my cohort were all positive influences throughout my coding journey and I learned more and faster than if I were doing this at home on my computer. My internship helped me get a feel for the real world and also were mentors be for me. The support I received after graduating was terrific. Weekly check-ins and regular job listings from companies looking for epicodus grads was another plus. If you're thinking about moving to attend Epicodus, I'm proof you can do it. Especially for the women out there, you won't find a more supportive community for women in tech than Portland. The most important point I want to stress is that I saw far too many people enter this program without doing ANY programming experience at all. How can you know if something suits you if you've never tried it? There's no excuse, simply sign up for udacity's CS101 course and see if you're into it. If you don't find the challenge fun, do NOT sign up at any coding bootcamp. Programming jobs pay well because it's very challenging work, not because there's a shortage of entry-level programmers (there is a shortage of GOOD programmers). With that said, my experience at Epicodus was almost entirely positive. I learned A LOT, very quickly and pair programming was a blast. If I were to recommend any changes for the curriculum, I would include 5 weeks (or more) of CS fundamentals and raise the acceptance bar. I also want to say that the new career counselor in Seattle (Mindy) is incredible. She has been professionally trained as a career coach / interview coach and knows her stuff. Definitely utilize her knowledge if you're in the Seattle program. Financing was easy to obtain, staff was very helpful with any question that I had pertaining to the the enrollment process. On the first day of class I was surprised at the classroom environment. It was very open and they were just setting up in a new building. For about a month my class was the only one in the building, but every few weeks a new class began and the empty building filled with more desks and computers. One of the biggest perks was the pair programming environment. It really fostered effective communication--a crucial skill in any work environment. My group did not have any experienced programmers and I think that worked to our benefit. We all worked day by day through trial and error. Not a single day I can remember was easy; the curriculum was challenging. Sometimes it was frustrating, but if you don't make any mistakes how can you learn a lesson? There was some instruction involved, and instructors were available when pairs got stuck. Most of the time we were left to ourselves to figure everything out after a quick morning briefing on the days topic. We would ask other pairs for help before asking the instructors; this was also beneficial. Every pair approached handling the exact same problems in different manners. Some of us had a clear understanding of object-oriented programming. Some of us understood design. Some of us understood databases. You get the point. Everyone had their strengths and weaknesses, good days and bad days. I would be lying if I said you could skate by without studying at home. There is a lot to take in. I will say, however, that if you don't want to work hard to gain a new skillset why are you thinking of going through a full time course? It is a very fast paced environment for those who want a career change quickly. If you're trying to socialize, if you're just trying to breeze through a program to get a job quick, if you're just trying to develop a new hobby, do yourself and your future classmates a favor. Stay home and study through Google, Youtube, Lynda, or an online course. This program requires a lot of focus, time, dedication, motivation, open-mindedness, and effort. A majority of your classmates WILL be grinding away at school and at home. Living and breathing code because they are dedicated to changing their, and their family's, lives. A handful of students dropped the course. Some due to circumstance, some because they didn't believe they could do it. Am I a master at any of these things? NO. Nobody in my class is, but plenty of my classmates found their niche with what they enjoyed most in class and are now employed. The job is where you'll master your skills and If you know HOW to program you will be able to find a job. Speaking of jobs, Epicodus also offers job assistance and internships. I haven't taken advantage of this as it isn't the route I'm going down, but everyone who wanted an internship was placed with a company for a month. Some of my classmates have even been hired from their internships. Epicodus is specifically for those who don't know how to program or think like a programmer. Have you tried to teach yourself and failed? Have you had a desire to learn but haven't had the time to do it? This program offers your the opportunity to learn, and I guarantee you won't have the time to do it. You'll be scared about dropping your life for six months. If you can dispel the fear, MAKE the time, and put in the work while you're there, I believe that you will find yourself comfortably employed as a developer in a position with plenty of room for growth with a new skillset that is highly valuable. That's my two cents--best of luck to you. EPICODUS: Drinking from the firehose. In a good way. I am nearing the end of my internship that caps off the 5-month bootcamp at Epicodus in Portland, OR. I have learned more than I thought possible. I have probably already forgotten more than I thought possible! The teachers were uneven, but generally good to great. The curriculum was usually very good, if occasionally a tiny bit behind the industry (they were a little slow to add CSS Grid and ES6). If you take your education seriously at Epicodus and come in with eyes wide open as to how intense/demanding it will be, you will succeed. Not only was this a fabulous experience, I have also come away from it with 20 great friends. This seems to be common among cohorts. You spend 5 months together, day in, day out, drinking from the firehose, struggling together and you walk away best buds with people you never would have imagined being friends with. -in-person pair programming is the way to go. It is built-in accountability, encouragement, and help. I would not have learned as much if I was doing this on my own, online. -If you can, don't work during bootcamp. Make bootcamp your life. -Take the time to polish your projects while they are fresh. You'll thank yourself later. I'm a recent graduate of Epicodus's C#/.Net program and if you're serious about making a career change and doing this right, then read on. I was very hesitant to buy into the bootcamp hype. I spent a tremendous amount of time doing research and making sure that I was making the right decision before I decided to apply to Epicodus. Epicodus is unique in the sense that not only are you going to go through a high-intensity program, but you're also going to end up with real on-the-job experience at the end. Not only that, but the program is one of the cheapest around. What sold me on Epicodus was the fact that they also include an internship portion. This is absolutely the most important part of the program (apart from how you approach it; more on that below). It gives you that real experience that employers are looking for and may (when I say may, I mean don't count on it) lead to a job. It's rare for the internship to lead straight into the company that hires you, but it does happen. In my case, I didn't internship with the company that I was hired by, but they were a part of the internship program and were actively looking for motivated developers. Epicodus's curriculum is fantastic for the most part. For the tech industry, it's extremely hard to keep up with how fast technology changes, but the instructors do a decent job of keeping the curriculum up to date and also have a good amount of experience troubleshooting through outdated lessons. During our program, Angular had just went through a major overhaul and they had new information up within the week. Similarly, Visual Studio 2017 had come out, and they immediately reacted to this by starting to update the curriculum. You'll be learning the newest and latest tech, which is what companies are looking for. I had mentioned above that it really depends on your approach this. Epicodus (and honestly ALL bootcamps) need a certain level of real commitment. You can't go into this and 'dabble' around. The curriculum is fast and the concepts are difficult. It's easily the hardest (and definitely most rewarding) experience I've ever had. But I went into it deciding I was going to no-life code for 6 months. Epicodus was perfect for that. You get what you put into it. And to me that means you might as well go with the bootcamp that is cheaper and includes an internship. That's not to say that if you don't no-life it, you won't learn something. If you're passing your weekly code reviews, then you'll easily come out of this with enough to build on. Epicodus is dirt cheap in comparison to other programs. I would not have been able to afford attendance at other bootcamps. I don't know any other in-person program that also offers an internship that costs so little. This was a huge factor for me. My teacher left 2/3rds of the way through the program. This may sound like a red flag, but it wasn't because of Epicodus. We still keep in touch and while he was there he worked very hard. The founder replaced him. He doesn't have a background in Java or Android. Realizing we were kind of on our own at this point, I chose to spend more time studying with online courses through Udemy. That ended up being extremely valuable, as I knew much more going into my internship. I always felt very supported by the staff and my fellow classmates. I had an amazing cohort. Sorry, I cannot give a favorable review here. The curriculum for the Java/Android portion was very, very incomplete. Basic building blocks of Android were not covered. Even as beginners, we knew it was not good. It would not have prepared anyone for Android development. I learned way more from some Udemy courses than Epicodus. You might be wondering, "how can I tell if the curriculm is any good now?" All of Epicodus's curriculum is online. My advice is to reach out to someone in the community and ask for their opinion. Please keep in mind that this was the first run through of a course which is now 2 years old. I know several people have put a lot of work into the curriculum. I don't think anything I said applies now. Unfortunately, that was my experience with the program...so it goes in the review. I both loved and hated this. When you pair with someone who is very passionate then you learn a lot. I really looked forward to pairing with certain people because I did not have much confidence at the time, so I didn't want to "drive" very much. Network network network. If you don't get hired out of your internship then you will need to fall back on your network. I can't emphasize how important this is. Network like a crazy person. Follow recruiters for your favorite companies. Accept random recruiter invites. Some people will tell you to do the opposite, but I got a job at Nike by accepting a random recruiter invite. When you are not networking, study study study. I know they emphasize work life balance there, but if you are like me, and not working for 6-8 months is a big financial risk, then you should be studying studying studying. You can't afford to fail here. The staff worked very hard to find interviews for me. However, I ended up getting an interview that turned into my first job through a friend... What did I say about networking, again??? My point is, Epicodus is not trying to prepare you to be a mobile developer. They state very clearly on their site that they are teaching you how to program and pick up new things quickly. I am an Android developer not because of Epicodus, but because of the extra work I put into learning Android, and the luck I had in getting an Android internship. You are not guaranteed an internship in your field of study. Of my 30+ class, only 6 of us have jobs in mobile development. If you are trying to change careers and do not really care where you get placed, then this is a great choice for you. You won't get the same value for your $$ anywhere else. I don't know any other place that offers internships, and this is huge. 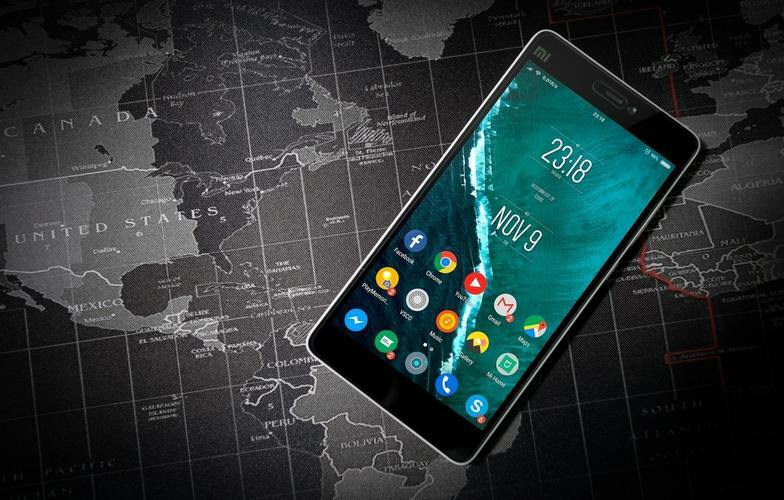 If you have played around with mobile development and really love it, and want to be an Android developer, I would advise you to look elsewhere. Udacity & Google offer an apprenticeship program, for example. Epicodus provided the learning environment and support that I needed to become employed as an Android Engineer with a really great company. There is no way I would have made the relationships and picked up the skills that I needed to land a Dev job on my own. Epicodus provides excellent curriculum, teachers that are committed to student success, and an excellent learning environment. The work is challenging, especially if your prior programming experience is limited. The work is largely self-driven, the assignments are available online, and you are given the tools to complete them. It’s a bit of a race against the clock everyday to understand and implement all of the new concepts that get thrown at you. You certainly get out what you put in to this program. I loved the pair programming, as I genuinely enjoy meeting people. But aside from meeting people, pairing also gives you excellent practice talking about what your code is doing and how you are trying to accomplish your coding goal. This is actually very important, and one of the hidden benefits to pairing, IMO. Having months of practice verbalizing technical problems helped me when I sat down with a Sr dev at my internship to track down a bug. It also helped me in post internship job interviews. Pairing also brings a unspoken accountability which I know made me more productive. When working/studying at home, it’s easy to log into Facebook or pull up a YouTube video when I’ve ‘earned’ a break. That doesn’t happen when working side by side with someone else all day. The Epicodus staff is fantastic, I’m still in touch with a some of them (Hi Perry!). From what I’ve seen, they are committed to providing the best education and employment support they can. probably use more staff), but there was never a time when I felt that the staff’s commitment was limited. Also, I understand that it’s one of Michael’s (the founder) goals to keep the program as affordable as possible. In that light, the fact that Epicodus is working to be as lean and efficient as possible ultimately benefits the students. Learn data structures, especially if you’re hoping to land a C# or Java job. Learn design patterns outside of the ones covered in the curriculum. Participate in events and meet-ups. Meet people, ask for their card (or name), follow up w an email the next day. If you have to cold-email them 2 months down the road, reply to the same thread so they know they’ve met you before. Be willing and able to talk about what you’re working on and/or what tech you’re excited to try next. Read tech blogs, article, listen to podcasts, watch people live code on twitch. Immerse yourself in the stack/field that you are interested in. Continue to build and work on portfolio projects. Deploy them. Learn new stacks and frameworks. Work on soft skills. I know it sounds cliche, but I 100% wouldn’t have landed my Android Engineer role without being able to communicate and relate well. Make friends with your classmates. My cohort was particularly tight-knit, and I love the fact that we get together fairly often to catch up. The opportunity to have a built in support network of people also in this field can't be understated. The market seems to be more saturated with Jr Devs that it was a couple years ago. Bootcamps are more prevalent. It will be harder to stand out and land jobs, or sometimes even interviews. These are forces that are outside of Epicodus’ control, but they present challenges that new grads will have to navigate. That said, opportunities are out there. I interviewed for some jobs that were never 'officially' posted because I got reccomended by the right person at the right time. Don't turn your nose up at Support Engineer or QA roles. Seriously. The 1st job is the hardest one to get. Take any opportunity that you can, including freelace work. Jr Devs aren’t hired because they are amazing programmers. They are hired because they have demonstrated strong passion for the field, curiosity, likeability, excellent communication skills, and a technical baseline that can be built on. Epicodus only gives you one of those, if you can manage the others, you'll do great. Prior to starting at Epicodus in October 2016, I was a full-time student pursuing a degree in Computer Science. The desire to have more hands-on experience, in an accelerated program, motivated me to research the different “bootcamps” available in Portland. Bottom line, I wanted to get to work. Ultimately, I chose Epicodus based on price, my initial experiences with staff (shout out to Debbie for hosting a great informational open house), and the opportunity to have an internship at the end of the process. As many others have said, Epicodus changed my life. Today, I am working as a full-time Web Developer for a company that I absolutely love. 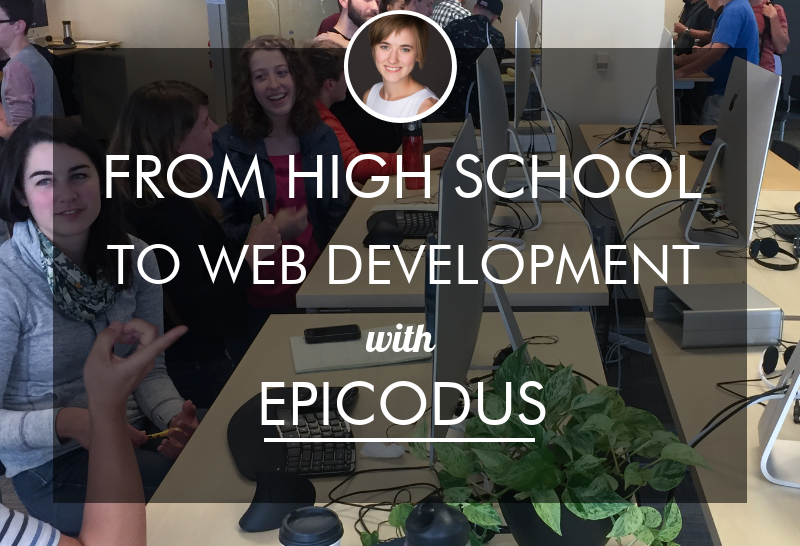 Epicodus provided me with the tools and opportunity to jumpstart my career in web development. That being said, you have to be willing to put in the time and effort. Merely showing up for 40 hours a week and completing the bare minimum will not turn you into a developer. In doing my research ahead of time, I entered Epicodus with the knowledge that this would not be a hands-on program, in terms of having day-to-day instruction. I enjoyed the lack of lectures and the minimal help from teachers (though they were always there if needed). This independent learning structure helped me learn how to problem solve on my own (something that has come in very handy in my new role). The world of web development is ever-changing, so I thought that Epicodus did a good job at keeping the curriculum as up-to-date as can be. From the curriculum that I did receive, I feel as though I understand the languages and syntax that are used today. As I mentioned above, Epicodus will be what you make of it. Pair programming was a great tool for learning. Depending on the skill level of your daily partner, you either have the opportunity to learn from someone with more experience, or to teach someone who may be struggling with the concept at hand, which helps to solidify your own understanding. In the intro class they emphasize working with someone new each day. But, as the program progresses they understand that you may find yourself working with several of the same partners over time. If you find that you don’t work well with another student, there’s no pressure to work with them again. Epicodus set up four internship interviews for me, with two being at the top of my “wish list”, one in the middle, and one pretty much at the bottom. The process was a little nerve-wracking, as there isn’t a guarantee that you will be matched with your top choice (even if they also list you as their top choice). They do this to make it a fair process, but it can still induce some anxiety. Luckily, I was matched with my top pick, as were many of my friends. My internship was a fantastic experience. I was given client work right off the bat and had daily interaction with the rest of the development team. As Epicodus has mentioned, your language of choice may not be the language you end up utilizing in your internship. This was the case for me, but I found that picking up a new language was not as daunting as I thought it would be. I can’t comment on the job assistance that Epicodus provides, as I accepted a position with my internship company. From my brief interactions with the outreach team, they are all very responsive and eager to be of assistance. If you have any questions about my experience at Epicodus, feel free to reach out to me on LinkedIn. I was drawn to Epicodus by their low tuition, which I think is outstanding amongst its peers. You never get the feeling that you're being ripped off in any way, which was something I was generally apprehensive about when searching. The school is genuine and transparent, which as much as anything made my experience there cherished. Staff there was always engaged and helpful - albeit w/ an air of having a lot on their plates! And that's something you have to understand about Epicouds - it's not an experience that's going to be able to hold your hand the whole way through. You're really working with your fellow students to wade through the world of resources available to you, guided of course by the Epicodus curriculum. You pair with another student everyday and work through assignments together - so take note that this 'pair programming' is at the core of the experience. There are pros and cons, but personally I'm very appreciative of this system. You really get to know your fellow students and your all a big jolly group of friends by the end of the course, was great for me as I had just moved to town. I was hesitant about doing a bootcamp because I'm a big self-starter, so learning to code felt like something I could have done on my own. But the experience of going to that space everyday and coding as part of our community of students really was truly invaluable, I learned a ton while there and can't imagine getting started without something like that. So as an educational experience: A+ (especially because of the program's duration). Epicodus leads you into an internship as the final part of the expierience, great for me as I'm now working where I interned. The school matchmakes students w/ companies it has relationships w/, which can be kind of hit or miss. But it is a big step forward in terms of experience and finding an internship yourself (or a job of course) is just so harrowing that I'm grateful that process was kind of streamlined for me. I wish I could comment more on job prospects/assistance after Epicdous, but I really can only say that most of my comrades were not hired on by their internships and in the few months since we finished I'd say many of us have found employment and many haven't. I only have a limited experience of the Portland job market, but I really think this is an industry in which you can take advantage of unemployed time to improve yourself as a coder and a candidate. It's hard to stay motivated, especially when you could be getting paid for that self-development, but you really can just progress on your own and make employment more and more inevitable. 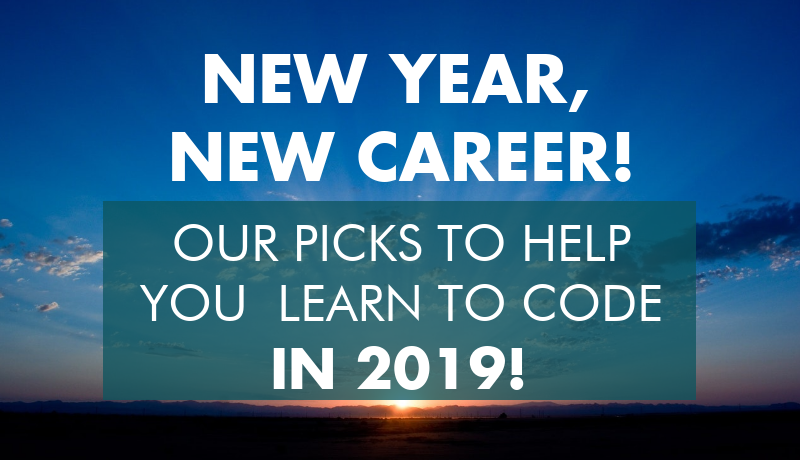 TL;DR Epicodus is a fantastic environment to learn to code and kick off your career, you'll meet great people and get great educational exposure. The more ambition you have to immerse yourself deeply into the dark arts of code, the more you'll guarantee your success. Epicodus is very clear about what it is and is not. From the get-go (as in, these are all things that I was told during my intake interview) they want you to understand that the instructors are more TAs than anything else, that your learning is largely self-driven, and that the goal of Epicodus is as much about teaching you HOW to learn how to code as it is teaching you how to code. This last skill is invaluable given the rate that technology is advancing - it is incredibly unlikely that you will never have to learn a new framework/language for a job. As long as you understand those things, are willing to put in a lot of work yourself, and keep working on improving after you have finished the curriculum, Epicodus will work great for you. Over 900 tech bootcamp graduates entered our sweepstakes competition to win a $500 Amazon Giftcard just by leaving a Verified review for their school on Course Report. 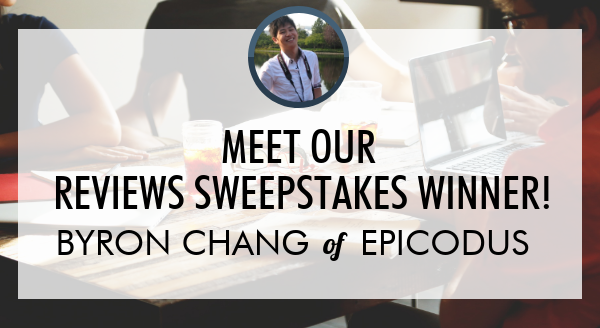 This time, our lucky winner was Byron Chang from Epicodus! We caught up with Byron to find out what he's up to today. Before Epicodus, Aundra was a recent high school graduate with a few odd jobs under her belt. 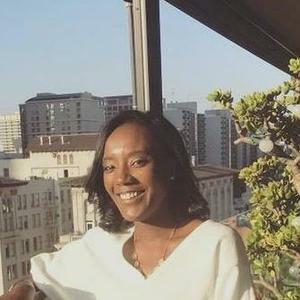 After tutoring and producing content for websites, she wanted to learn the programming languages that powered them, so Aundra set her sights on software development. See why Epicodus was the best choice for Aundra, how she spun her first internship into a full-time job, and how her career has blossomed over the past three years! Plus, Aundra shares the advice her dad gave her before her first day at Epicodus – it’s perfect for anyone starting a coding bootcamp. Aundra, what is your pre-bootcamp story? What were you up to before Epicodus? My story is probably a little bit different – when I graduated from high school in 2014, I didn't know what I wanted to do. I didn't have the funds to go to college and it wasn’t worthwhile to get a loan for college if I didn't know what career field I wanted to go into. I spent a couple years doing some odd jobs – tutoring math at a local school and doing content development with Fannit.com. I was writing for Fannit and tutoring around the time that my interest in programming and web development was really piqued. Did you have any experience with technology or web development before Epicodus? In high school, I worked on a website for my speech and debate league. I saw how that website created an opportunity for them to welcome new students to the club and simplify their processes. I was really drawn to that mission of how tech could improve people's lives. Once I decided that I wanted to do programming as a career, I looked at ways to get started. I started off thinking, "A college degree would probably be the best way,” but as I looked at the college degrees that were available, they were all too broad for the work that I wanted to do. They covered studies and courses that weren't really related to web development. I then looked for online schools and schools in my area, but nothing seemed like a good fit. There was certificate program that had potential, but it was going to take me two years to complete. That's when I started considering bootcamps. How did you decide on Epicodus? Tell us about your research process. The combination of Epicodus being in Portland (not far from my home) and the tuition being affordable made me choose Epicodus. I also wanted to learn onsite as opposed to working remotely. It offered the opportunity to have hands-on experience every day in a classroom where I was required to be, and other students would be there with me. Plus, Epicodus offered an internship. All those elements combined made Epicodus stand out to me out of all the other competitors. Today, the first five weeks of Epicodus is actually free; that wasn’t the case when I attended Epicodus – January through June 2016 – but their tuition rates were certainly lower than other competing schools. That element did factor into my decision. 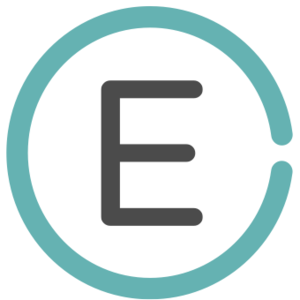 How did you find the application and interview process at Epicodus? Was it difficult to get in? I had a phone interview, but Epicodus doesn’t require any prior knowledge. They have an intro to programming course and so they almost assumed that you probably wouldn't know anything when you got started. I had done some self-teaching before I applied – I had a Treehouse account and I used Google searches and YouTube videos. Once you started at Epicodus, was it a diverse learning experience in terms of gender, race, age? Yeah, it was definitely diverse. Epicodus has done an excellent job of being very clear that the whole school welcomes people of all shapes and sizes. Whoever you might be, you are welcome at Epicodus and we're going to work together. There were about 30 people in my cohort. There was a lot of great collaboration and we worked really well together. It was about 50% women, and 50% men – I was really delighted by that. How was the Epicodus learning experience? Walk us through a typical day? Monday through Thursday, all had pretty much the same structure. You had to be in by 8am. At 8:15am, you would be marked as tardy. Attendance was enforced, but very appropriately because at Epicodus there's this mindset of you get out what you put in. If you were there by 8am, you would meet your cohort and the teacher for class to get a summary of what's going on in the day. Then you would pair up with somebody for pair programming for that day, and you would start right into the curriculum for the day. And it would be anything from watching training videos together or working on a project together or doing some research. There was a wide variety of tasks and projects for a given day. But then on Fridays, you were assigned a solo project, which is basically your code review for the week. It was a way for students to have time by themselves. There was the one day in the week where you did not pair program that was meant to be solo work. And it was an opportunity for you to test your skills and for the teachers to see what you were absorbing, and your strengths and weaknesses. Fridays ended up being one of my favorite days. I really enjoyed pair programming and learning alongside other people. But having that day to sit down and focus and work on my own solo project was a really delightful experience. I appreciated how they split up the time like that. Did the Epicodus teaching style match your learning style? I felt like the teaching style did work for me – you don't get help from a teacher unless you ask for it. You are responsible to dive in and ask questions, work on things, explore, research your own questions, and try and find answers. And if you get stuck – which happens – the teachers are there to help you. Epicodus did a really good job of preparing me for what real-world work was going to be like. You run into a problem, you're responsible to do everything you can to figure it out, and then you pull in a coworker to give you a hand if you get stuck. In that sense, the curriculum gave me just enough to move forward and learn and grow, without holding my hand too much and making me feel lost as soon as I hit the real world. Do you have any advice for getting the most out of a coding bootcamp? My dad is also a software engineer and he shared three big tips with me prior to me starting school. Relax, breathe, and just give yourself space to learn without the expectation of performance. Work hard and put your back into it. Don't be afraid to fail. Things aren’t going to go perfectly, but put in the effort and you'll get it right. You'll learn from those failures as well. Be consistent. When you start a programming bootcamp, it's a great learning experience. They will give you lots of tools, but that bootcamp will eventually end and from that point on in your career, the progress you make is up to you. Tell us about your final project that you built at Epicodus! For our final project, I worked in a group of four to build a sports website. The goal was to provide a website for people who want to play pickup sports/spontaneous games in a city or a neighborhood. You can list your own sports event and invite people saying, "Hey, we're playing pickup at this park at this time, come if you're interested." How did Epicodus prepare you for the job search? Do you have any advice for other bootcampers who are going through the job search? Epicodus did quite a bit to help me prepare for my job search, and not just from a technology standpoint. At the time, I was 19 years old and for both jobs that I'd held previously, the employers reached out to me. So the whole process of writing a resume and including keywords (especially technical keywords) was a new experience and a challenge for me. I appreciated that Epicodus created an opportunity for me to have interviews where I got to meet with people and practice those skills. Epicodus took the time to help me prepare my resume, taught me how to write a cover letter, and they reviewed my LinkedIn and GitHub profiles, and supported me with a lot of good feedback. As a young lady, I tended to second-guess myself quite a bit and be more on the timid, shy side. So some of the best feedback I got was to enter my interviews with a level of confidence and to be confident in what I know, and in my ability to figure it out. That mindset made the difference for me in my interview with my first company, Zeppidy. Tell us more about that first job at Zeppidy – how did the interview go and what did you work on there? At the end of your training, Epicodus offers an internship program. We got to interview with potential internships and practice our interview skills through that process. I was placed in a 5-week internship at Zeppidy with three other members of my cohort. And when that internship ended, Zeppidy hired me on full-time as a Junior Web Developer. Zeppidy was an online platform that provided a streamlined home buying and selling process for agents and DIY sellers. In the interview, I really didn't know as many of the answers as they would have liked, but I took my best guess at all of them. And that's what stood out to the CEO who was in the interviews. Even though I didn't know the answer, I gave it my best shot and I acknowledged where I didn't know stuff, and how I would have gone about exploring and getting more information. How was the transition from a coding bootcamp into the “real world?” Were you prepared for your first job? I felt like Epicodus had given me enough training to be able to grow from there. Also, there was a senior developer that worked in the same office I did, and so I got a lot of support, advice, and instruction from him as well. You’ve since moved onto a second job at Learning.com – why (and how) did you make the change? My transition out of Zeppidy was a bit unexpected – Zeppidy went under in March of 2017. I went directly from working on a Tuesday to job hunting on a Wednesday. But at that point, I felt like I had a lot of skills and experience. It was a very unique and wonderful opportunity to grow, and it put my foot in the door to other opportunities in this industry. That’s what gave me the experience I needed to find the opportunity at Learning.com. I also reached out to Audrey from Epicodus, who is in charge of alumni job support. She gave me a few contacts to broaden my field and search. I transitioned to Learning.com as Web Application Developer and have worked there for about 1.5 years. Currently, our development team is hard at work building a catalog of our k-8 curriculum so teachers and district administrators can have a better understanding of the valuable resources we offer schools and students in regard to digital literacy. Now that you've been a developer for over two years, how do you feel your skills have grown as a developer? I've grown more than I can imagine, but my skill growth falls into two separate categories. There's hard skills and soft skills. And over the two and a half years, I felt like Epicodus really gave me the jumpstart in both areas. I learned how to learn new programming languages, frameworks, libraries and tools, and how to think like a programmer. Epicodus also created an environment where I was challenged and it really tested my growth with soft skills like communication, collaboration, and strategizing my architecture and all the other skills that fed right into a real-life work experience. What has been your biggest challenge or roadblock in this journey to change your career and become a software developer? I’ve seen two challenges. On the one hand, I can have a serious case of imposter syndrome – I feel like I don't know anything, I'm not good at my job, and I'm a terrible programmer. You underestimate yourself and you get caught up in your shortcomings, as opposed to recognizing your strengths, powering through, learning and overcoming those weaknesses. On the other hand, there’s the pitfall of the “expert beginner,” where you forget how much more there is to know. You get so comfortable in the basics that you don't continue to push yourself in the knowledge and explore the opportunities to continue learning and growing. The biggest challenge for me is keeping myself between those two pitfalls — continuing to push myself and grow without doubting myself and criticizing myself along the way. Would you have been able to get to where you are today without Epicodus? Could you have just taught yourself? Without Epicodus, I would not be where I am today. Epicodus offered exposure to a lot of different types of programming and code, and a lot of different styles/languages that would have been hard to find on my own. It's easy to go too thin in your knowledge of the language and maybe a little too deep into the nitty gritty of the language, but Epicodus gave you just enough to equip yourself with the skills you would need going into a real work situation. I also really appreciated the network that Epicodus offered. I worked with people from 8am to 5pm every day, collaborating with them, meeting new people. It created a network of people so that when I graduated, I still had people I could talk to and brainstorm with and share experiences with. I don't think I would have gotten that if I had been teaching myself or learning remotely. Our whole cohort is still part of a Facebook group and we will drop job opportunities in there, check-in, and ask questions about tools or tech. I've also met up with a few of my other alumni friends and gone to lunch. And I’ve gone back to the school to see the teachers. They were great – I really miss them. Ultimately, the Epicodus training was all great. The internship at the end was my opportunity to actually apply my skills with the support of Epicodus, which ultimately created an opportunity for me to really get into the tech industry and do what I love. What advice do you have for future coding bootcampers who are still on the fence about making a career change? You get out of the program what you put into the program. Epicodus has a lot of great tools and resources, but it's going to take work and effort. And that's almost the most rewarding part. When I was hired at Zeppidy, the biggest thing they looked for was programming history, GitHub, and what projects I’d been working on. They wanted to see that even after I graduated Epicodus, I was continuing to learn and push myself, discover, and innovate. Even after the bootcamp is over, there's a whole world to be discovered. So don't stop. Don't get comfortable. Keep pushing yourself and stay steady in your efforts to learn and grow. Read more Epicodus reviews on Course Report. Check out the Epicodus website! Epicodus is licensed by the Oregon Higher Education Coordinating Commission and Washington Workforce Board. Any other information you'd like to share with Michael, founder from Epicodus? By submitting, I acknowledge that my information will be shared with Epicodus. An email with these details has been sent to Epicodus. You've already applied to this scholarship with Epicodus.